Teenage Engineering goes modular! 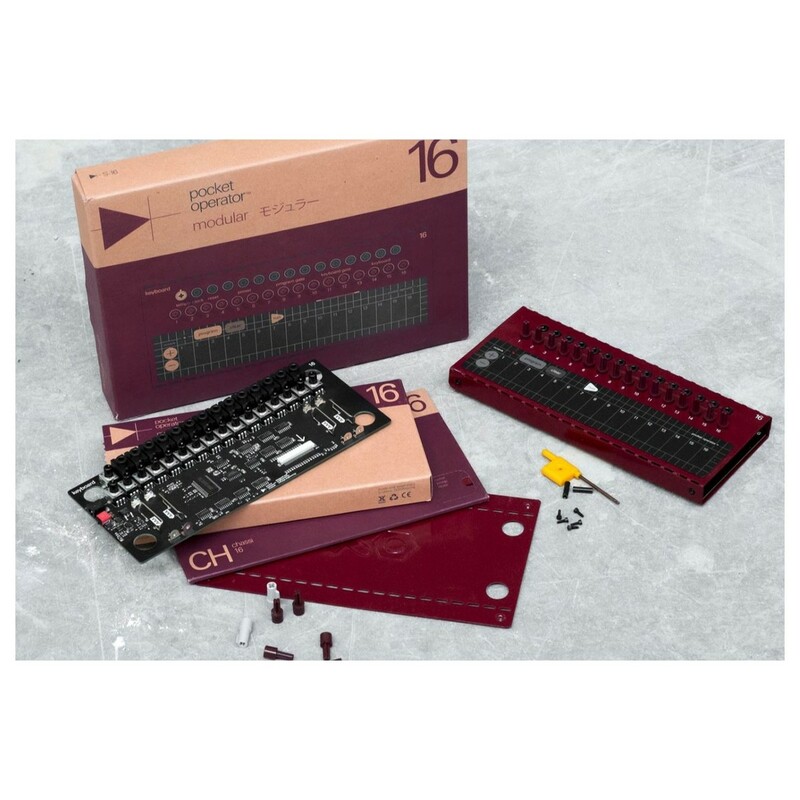 Welcoming in the new series is the Teenage Engineering PO Modular 16 - a standalone keyboard that lets you tune each key and program step sequences. Its small just like their pocket operator series so can be taken anywhere. Build it. For the DIY lovers you'll be able to assemble it yourself with all the included parts, along with a handy manual book with easy instructions. 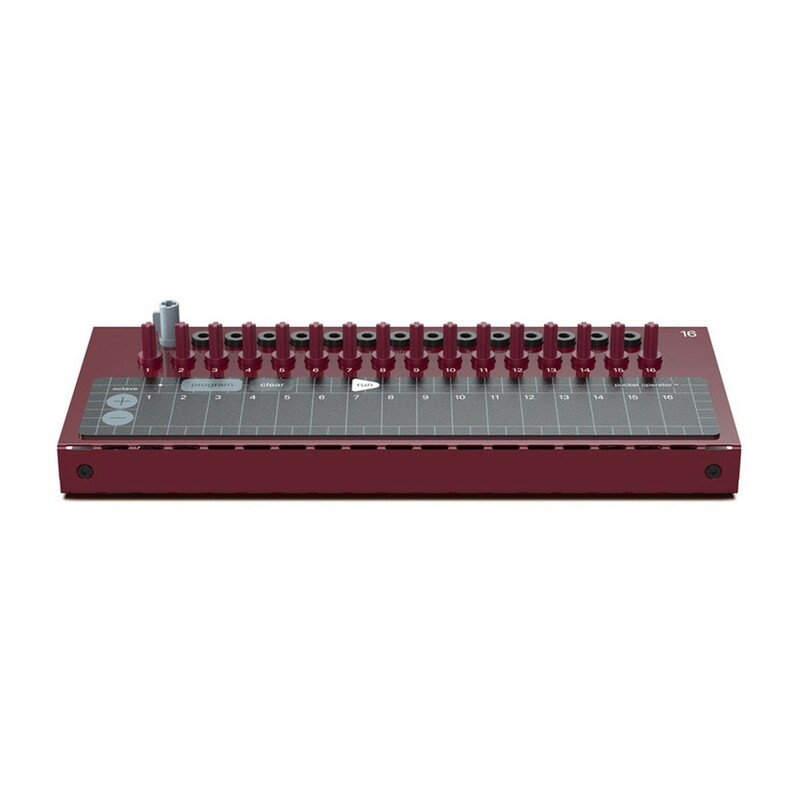 Primarily the Modular 16 is designed to control the 400 or other modular synthesizers. It makes no sound on its own but sends CV, pitch and trig. Take control of your Teenage Engineering or Eurorack based modules with this excellent little keyboard. The build it yourself keyboard features 16 keys - each with individual tuning options. It also features a built-in programmable sequencer allowing you to adjust settings mid-performance. The 16 is battery powered too so is ready to go as soon as you get it built. All kits come with the parts you need to build your own personal modular synthesizer. Start with the sheet metal chassis. The sheet metal parts (A,B) come flat so you need to bend them accordingly (don't worry, the kit includes a 70 page illustrated color manual with clear instructions and bend angles). Most people manage to build one in under 15 minutes. When the chassis is done, you move on to mount the modules (M), snap in the wire connectors and finalize your build with knobs and rubber feets. Just follow the steps and you'll be fine.